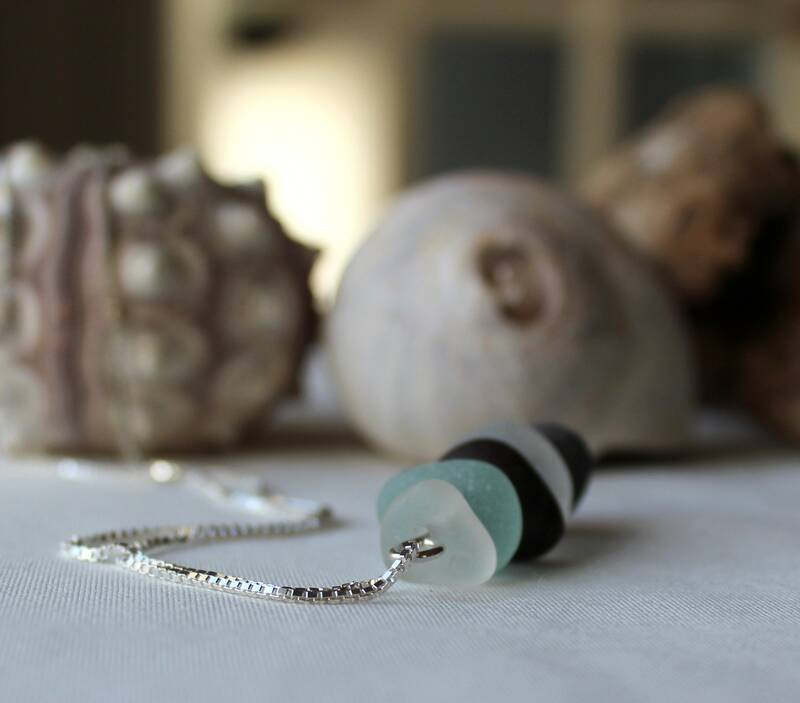 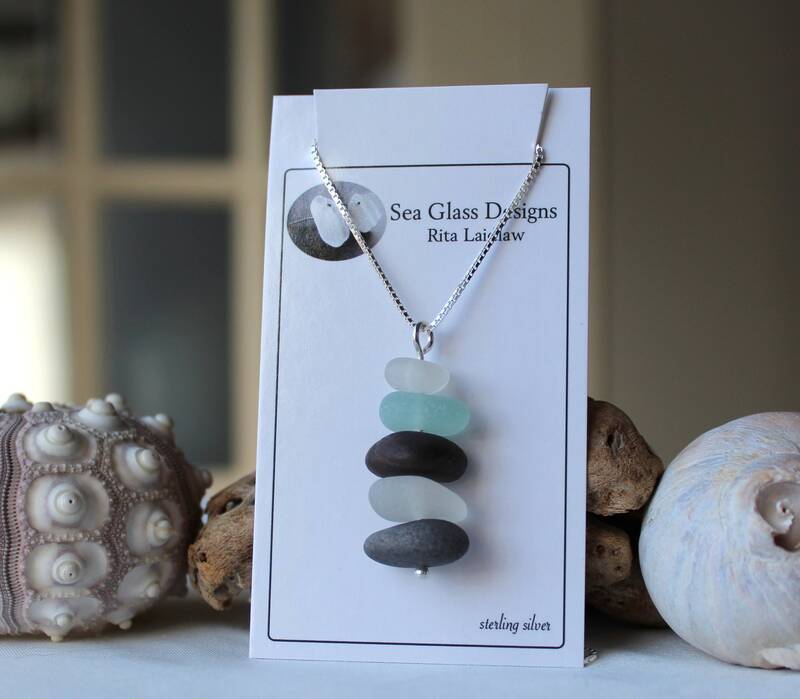 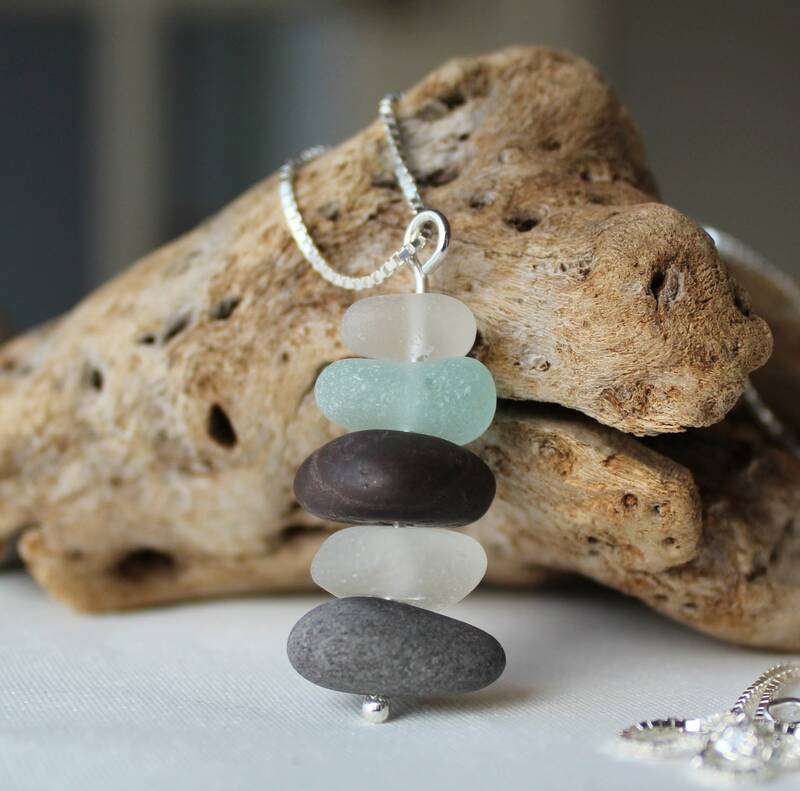 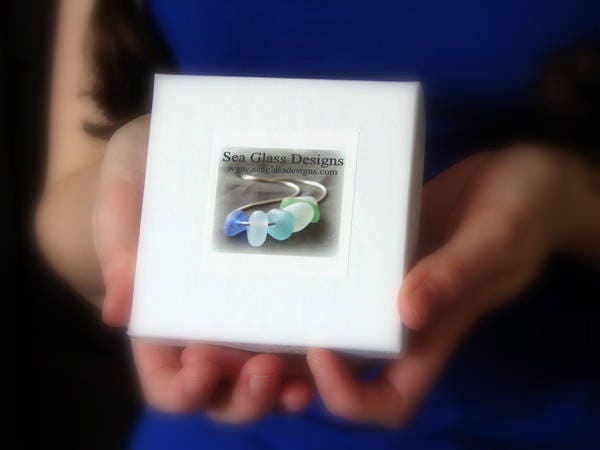 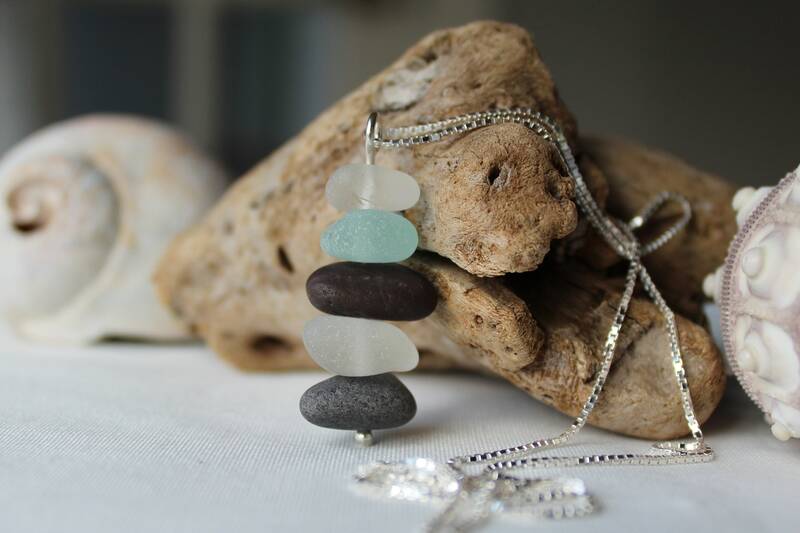 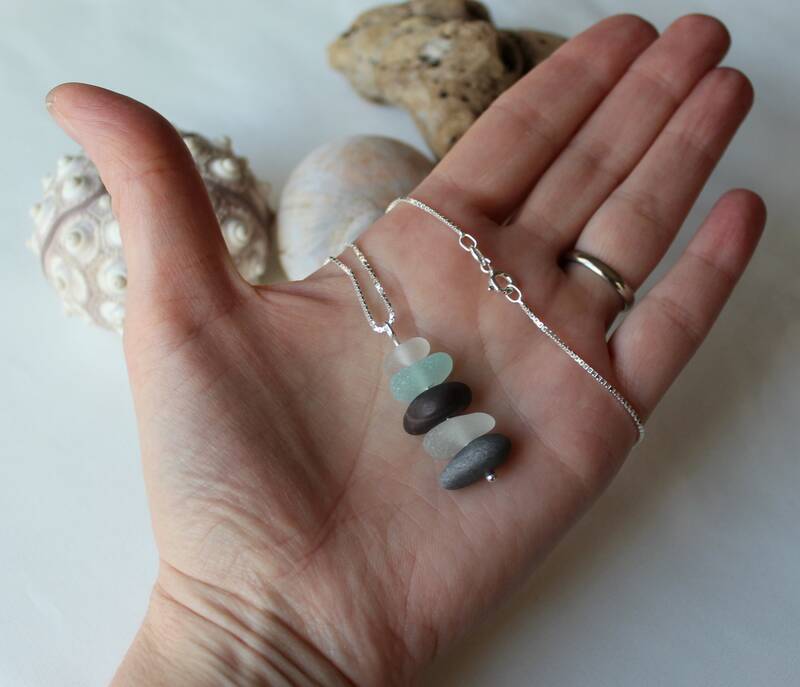 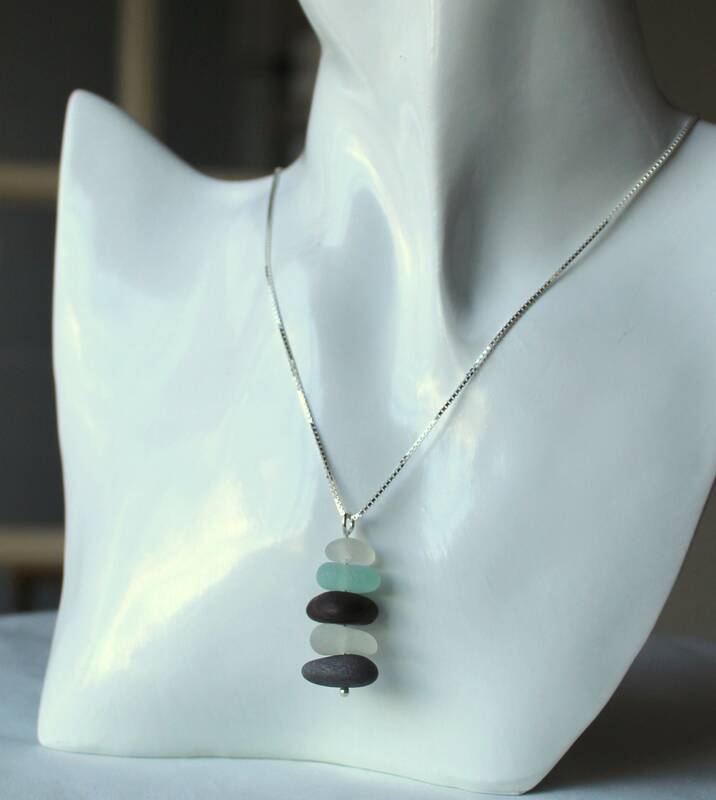 This cairn Sea Stack necklace features three little pieces of natural sea glass in aqua and white, along with five tiny beach pebbles all gathered from Nova Scotia beaches. 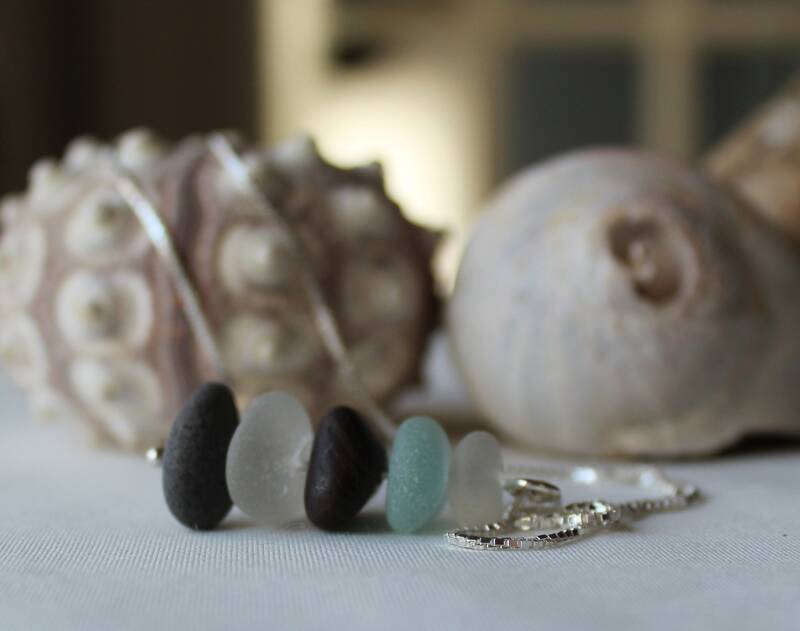 The stones are stacked on a hand forged sterling silver post measuring 1 1/2 inches in length and your choice of sterling silver box chain. 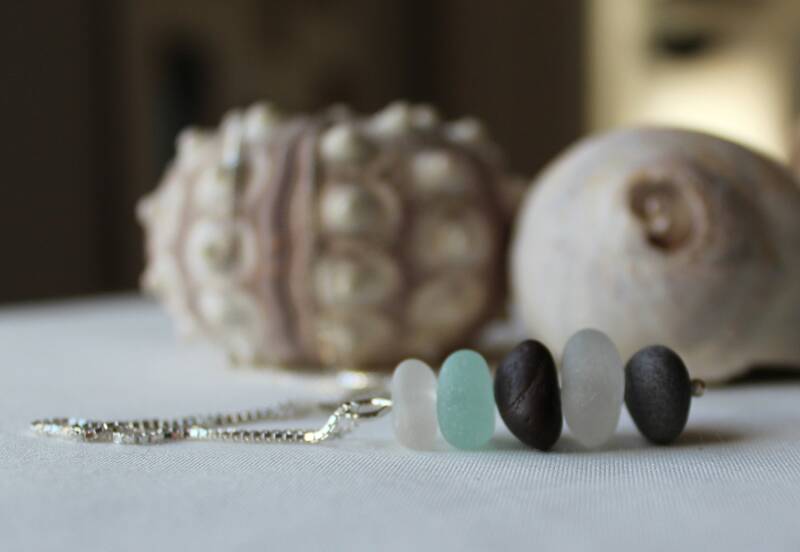 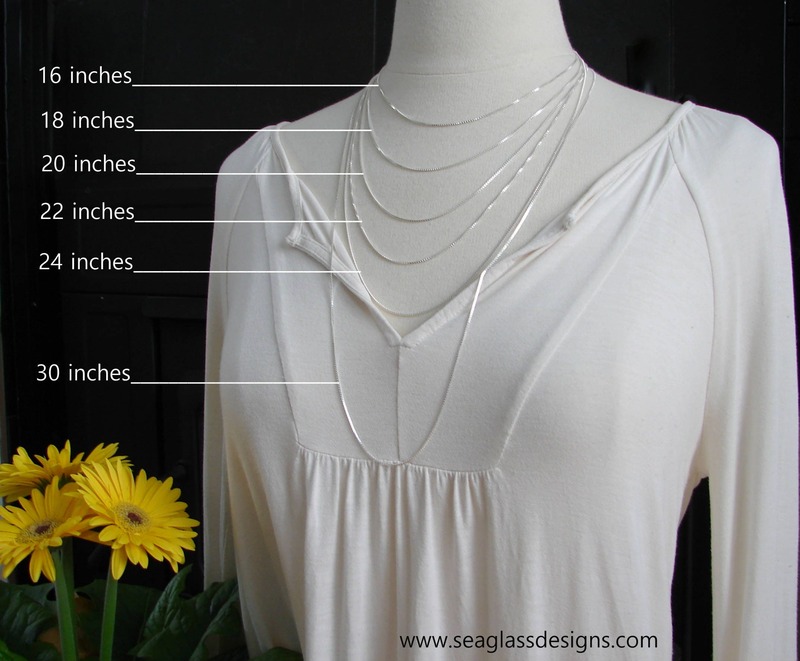 The soft ocean tones will make this Sea Stack necklace one you reach for everyday.